Bishop Donice Brown, Sr. was born September 17, 1940, to the late Silas and Reba Brown, in Angie, Louisiana. The Brown family later moved to Cantonment, Florida. Bishop Brown graduated from Ransom High School in 1959. After completing high school, he enlisted in the United States Army, and was a saxophonist in the military band. In 1961, Bishop Brown was called into the ministry as a Bible School Teacher. He began conducting home bible classes in 1967. In 1969, he was ordained an Elder, and that same year, started his own business: Donice Brown Construction Company. From 1969 to 1976, he served as pastor of the St. Paul AFM Church of God in Atmore, Alabama, and was ordained a Bishop during his tenure there (1973). He was named pastor of Ward’s Temple in 1976. In 1978, he received a Doctorate of Divinity from the Apostolic Bible Teaching Institute, Inc. He also received a Doctorate of Divinity from New World Bible Institute of Hayti, Missouri in 1980. Then, in 1982, he organized and founded the Florida Apostolic Bible Institute. He received his Doctorate of Philosophy from the Apostolic Bible Teaching Institute, Inc. in 1997. Bishop Browns serves as Presiding Bishop of the of the AFM Church of God, Inc. since being elected in 1993. Sister Josephine Brown was born on October 24, 1948, to the late S.J. and Lula Mae Moorer in Century, Florida. She graduated from George Washington Carver in 1966. She accepted Christ at the age of 12, under the leadership of the late Bishop Witherspoon. 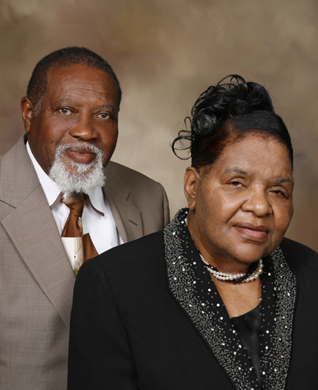 She was a faithful member of Bethel AFM Church of God, until she married Bishop Donice Brown April 20, 1968. They were blessed with 7 children. A woman that believes in praying and fasting, Sister Brown’s loving and quiet spirit is reflective of her godly character. You won’t find her busy-bodying in other people’s matters, but rather, offering encouraging words, and testifying of God’s goodness and mercy. Sister Brown is a vessel of honor, abiding in the anointing power of God. A virtuous woman indeed, her worth is far above rubies. Copyright 2016-17. 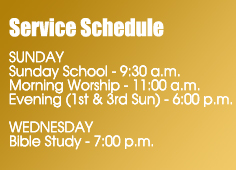 Ward's Temple AFM Church of God, Inc.